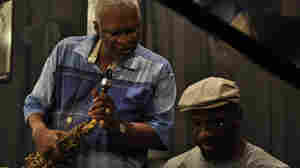 September 13, 2010  After 25 years away, the Kansas Citian and saxophonist returned to his hometown to teach in 2000. Now he's released The Gates BBQ Suite, a seven-part work honoring the city and its iconic restaurants. 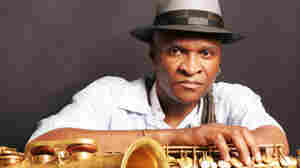 January 4, 2007  NPR and WBGO's "Toast of the Nation" features a never-aired show from alto saxophonist Bobby Watson's Kansas City Jump Band at Jazz at Lincoln Center in New York. Also on the bill: a tribute to pianist Jay "Hootie" McShann (1916-2006), the last of the great Kansas City players. July 15, 2009  After you slap some barbecue sauce on your menu items of choice — be they meat-based or sculpted out of tofu — it's time to toss everything on the grill, let the fire do its work, and get down with these grill-friendly jazz tunes. January 7, 2011  Evans, a jazz pianist, recorded an unofficial tribute album to Watson last year. The saxophonist, who cut his teeth with Art Blakey's Jazz Messengers, joins Evans in the WBGO studio for a session on The Checkout.